Tech Receptives understands business and that's why we understand the pricing needs and their role in improving our clients needs. 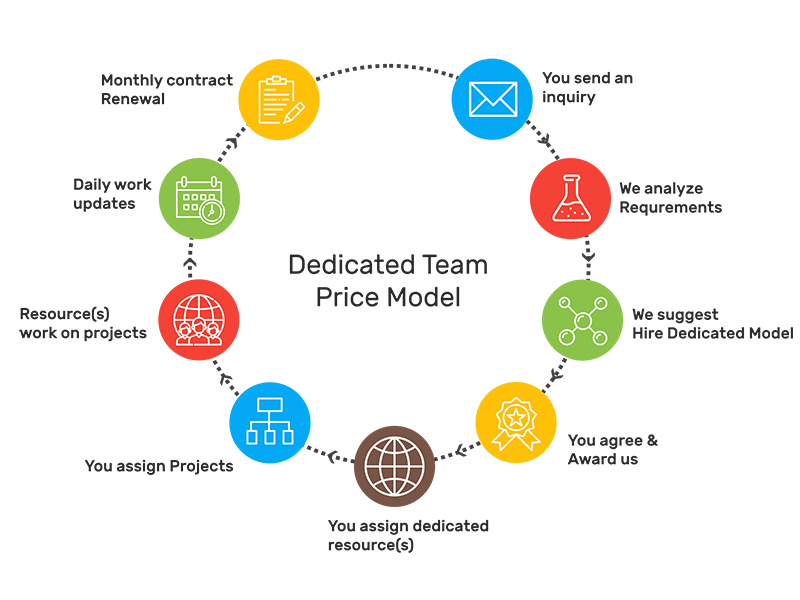 Without correctly laying out the pricing model of our business, the whole platform can become a puzzle for us and also for our clients. That's why we have taken every small detail in creating the pricing model for our clients. The framework is flexible, creating value over a long period of time and also providing a one-stop model for creating strategies that work! We believe in making every transparent and that's why we have incorporated the right elements in the chart, creating a right mix of industry standard pricing and flexibility. With Fixed Price Model, projects can flourish and even move towards excellence. The dynamic of fixed Model works best for projects that are on a tight budget and have clear requirements at the start of the project. At Tech Receptives, we always believe in innovation and revising our pricing model to incorporate maximum business type into our service. To overcome the current industry problems, our R&D team work with industry experts to bring changes in both the pricing model and the different processes under Tech- Receptives. Projects that have budget constraints and no urgency at stake can easily choose a fixed price model for their projects. Fixed Priced Model also offers peace of mind and timely delivery of the product, so that it strikes the market at the right time. Clients with pre-defined requirements and clear vision should choose a fixed price model. Any business looking to kick start their project with predefined and strict requirements. This model is fine-tuned for smaller projects, where the client has direct control over the project from the inception to the implementation. 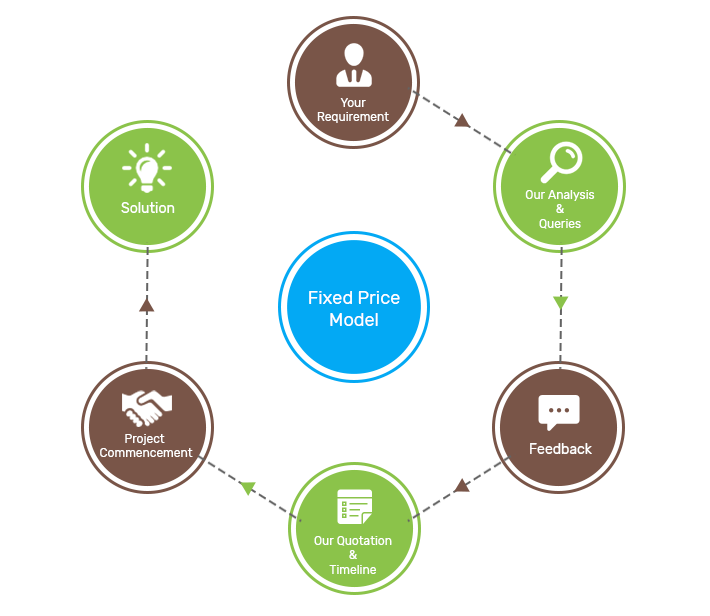 Fixed Price Model is slightly constrained in terms of flexibility, but at Tech -Receptives we understand business and how markets can change impact business, and that's why we provide hosts for benefits for clients who choose Fixed Price Model. At Tech Receptives, the clients are always the front-runner and we provide all the vital statistics about the project in a timely manner. With this model, the clients can enjoy the overall delivery of the product with no worries of over-paying. Not every project has already pre-made specification and going for a fixed price model is dangerous for the client and the service provider. The right model for any project where both specifications and time competition is not clear is Time and Material Price Model. The model revolves around the idea of pay per hour model and is based on the payments according to work done. For projects that are complex and specifications are not clear, this type of model fits best and returns are always high and no risk of failures. The most benefitted projects are the complex projects or projects with a very high budget. Spending on the right resources is important and creates a step by step improvement throughout the project. Great Communication is maintained with the client so that they can improve the whole process and change requirements whenever necessary. Also, our team provides periodic reports on time and resource spent so that the client can alter the resources whenever necessary. The control is always in the hand of the client and we take care of deliverables even when they are delayed, we tend to inform the client way ahead of the time. All the transactions are transparent and all information is presented in a well-structured way and creates a strong connection between the team and the client. The client also needs to pay for the work that has been done. Furthermore, the client can either redirect resources to other critical processes or choose to cut down resources to a particular part of the project that need necessary attention. At Tech Receptives, we value teamwork and bring results that are both sustainable in a long run. The growth and accuracy can never be achieved without a team and that's why we have a dedicated team price model for medium scale projects. The Dedicated Team Price Model is one of the best model in the market with the flexibility to change requirements during the project. At Tech Receptives, we prefer delivering work way before the deadline, keeping the quality of work at hand. This model also reflects the philosophy of continuous growth within our team and bring the best work on the table. There are also many reasons, one find this service model fit for their project. Even though the Dedicated Team Price Model doesn't offer Direct control of resources, but the client can choose to interact with the resource and change or add resources according to the requirements. The Dedicated Team Price Model has tons of benefits for the client as it provides the base through with growth can be measured and improved upon. 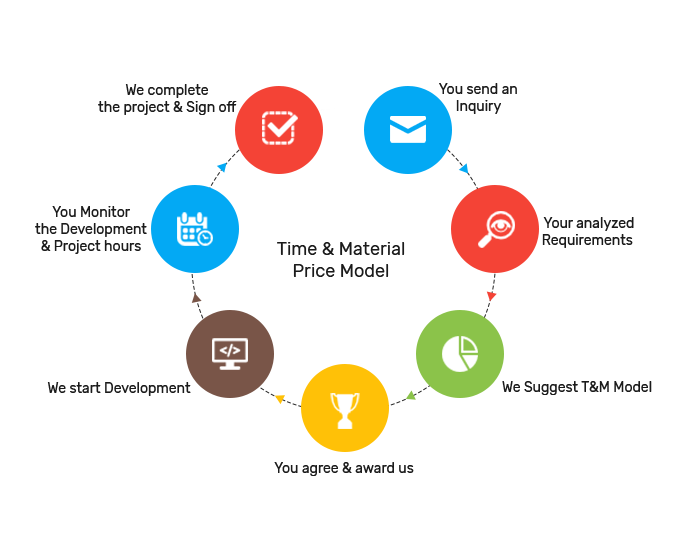 We take care of all the minute details and send regular updates to the client for maximum transparency.